In Oregon 1851, two formidable brothers, Eli (John C. Reilly) and Charlie (Joaquin Phoenix) Sisters, are hired to track down and kill a prospector, Hermann Kermit Warm (Riz Ahmed), who has stolen from their boss. The odds were stacked against my enjoyment of The Sisters Brothers. First, I enjoyed the book (by Patrick DeWitt) on which this film is based so much that I was eagerly anticipating every key scene. This meant that any deviation from the novel (while of course necessary) felt jarring. Second, the person sitting next to me thought that a large packet of pungent cheese and onion crisps was a suitable cinema snack. Not ideal viewing circumstances I’m sure you will agree. It is testament to the quality and sheer entertainment of Jacques Audiard’s film that, despite these two issues, I thoroughly enjoyed The Sisters Brothers. The movie is visually stunning and who could resist its superb casting? John C. Reilly and Joaquin Phoenix could not have been better choices for the roles of Eli and Charlie Sisters. 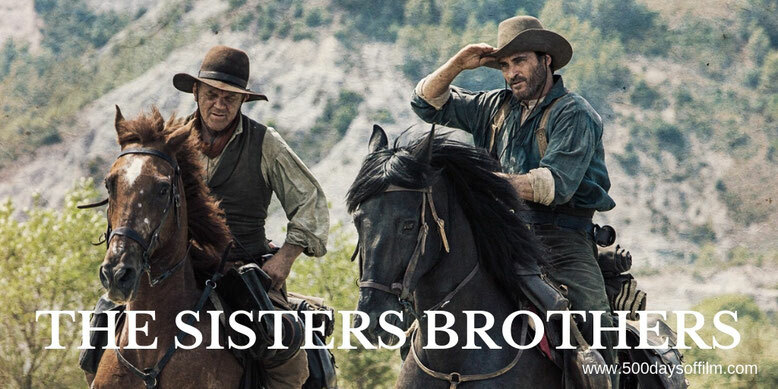 As the movie’s title would suggest, Eli and Charlie are the heart of The Sisters Brothers. Reilly and Phoenix convey all aspects of this compelling relationship. There was never a moment when I didn’t believe in and enjoy their hilarious and poignant brotherly bond. We watch events in The Sisters Brothers unfold through the soulful eyes of Eli. Reilly gives a wonderfully endearing and brilliantly physical performance - so much so that you almost forget that he is playing a ruthless killer. The same cannot be said for Phoenix’s Charlie. We are never in any doubt of his penchant for violence. Phoenix’s portrayal is wonderfully charismatic. He steals every scene - whether falling off his horse in a drunken stupor or engaged in a deadly gun battle. The Sisters brothers are tasked by their commodore to track down the prospector, Hermann Kermit Warm (an engaging performance from Riz Ahmed) and Jake Gyllenhaal’s edgy and conflicted John Morris. On occasion the film struggles with these two (albeit converging) storylines. The movie suffers every time it cuts away to Warm and Morris. We far prefer the company of the Sisters brothers. The action, when it occurs, is brutal and unflinching. However, the violence never feels uncomfortable or gratuitous. We understand why the brothers have achieved such a fearsome reputation and wonder if redemption is a possibility for either man. For me, the film fails to portray the emotional power of the book’s final act. Nonetheless, I remained gripped and engaged throughout The Sisters Brothers. I cannot wait to watch it again - hopefully without the scent of cheese and onion. Have you seen The Sisters Brothers? If you have, what did you think of Jacques Audiard’s film? Let me know in the comments section below or via Twitter? You can find me @500DaysOfFilm.